Florida's railroad heritage began in the 1830s amidst Native American upheaval and territorial colonization. Surpassing waterways as the primary mode of transport, the "Iron Horse" linked practically every town and city, carried tourists and locals, and ably conveyed the wealth of Florida's mines, factories, forests, groves, and farms. Nearly 175 years later, railroads still remain a dependable source of transport within the Sunshine State. Author Gregg Turner, a former director of the Railway & Locomotive Historical Society and lifelong train enthusiast, has written several books and numerous articles on railroad history. 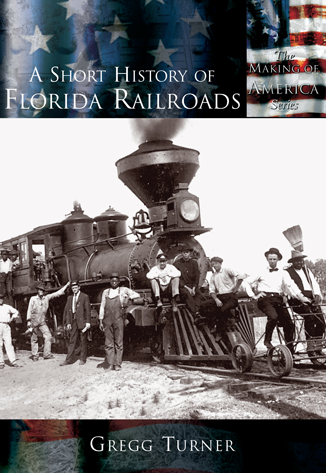 His engaging illustrated narrative, accompanied by rich historic photographs, recounts Florida's railway past from inception to modern times.